Mother’s Day is right around the corner! I feel like every day of the year is a day to celebrate our moms. That might mean your birth mom, your adoptive mom, your aunt who raised you and is like your mom, or your best friends mom that you grew up with! 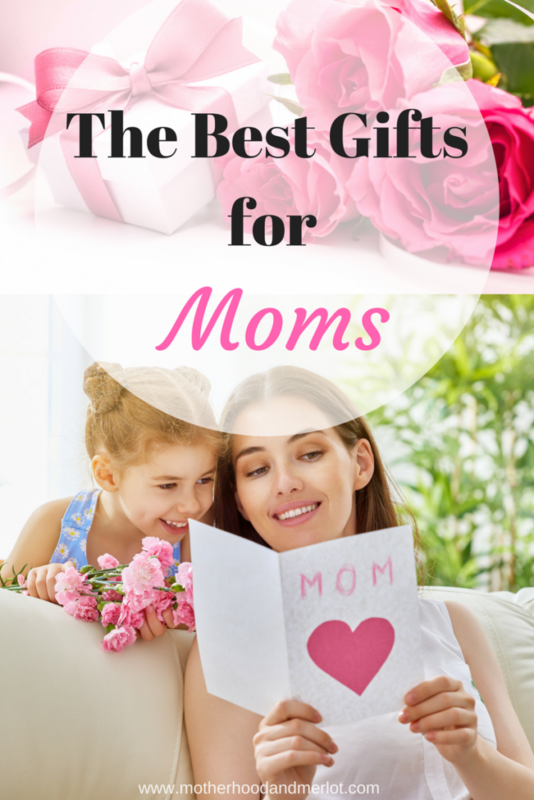 Don’t forget mother-in-laws 😉 There are so many special ladies out there to celebrate, so I have created this list of some of the best gifts for moms, and there is something for everyone to love! Jewelry: I have always loved jewelry, but as a mom, personalized jewelry has taken over my heart! I love getting things personalized with my initials, my last name, or my children’s names. 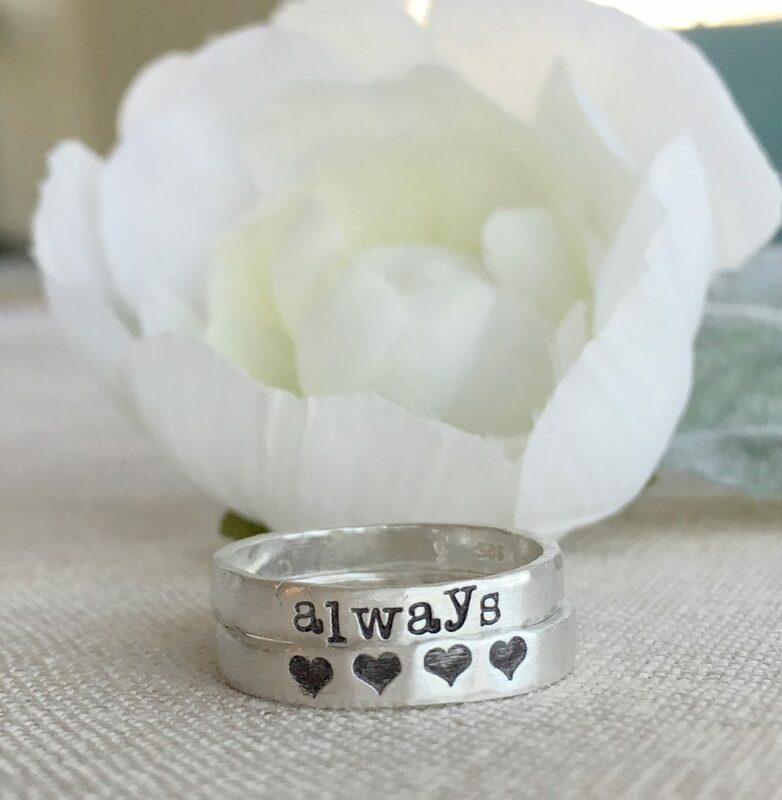 These personalized, stackable rings from Shay Designs are so beautiful! I personalized a stack of my own with each of my children’s names, and I am so obsessed. You can wear one alone, wear them on different fingers, or stack them all together. Shay Designs also has necklaces and other gorgeous pieces in their shop! I am also in love with statement earrings right now, and they make the perfect gift for moms of all ages! Here are some of my favorites. Skincare: My mom loves it when I get here skincare (at least that’s what she says;)) because it is always items that she wouldn’t buy for herself. Skincare is one of those items that is so important, especially as we age, but it can be forgotten, especially if we are busy moms. I got her a set similar to this from Lancome. It is the Renergie Lift Multi-Action Lifting and Firming Eye and Face Cream Set Includes Eye Cream, Broad Spectrum SPF 15 Day Cream and Night Cream . I gave it to her as a gift for Christmas, and it was a hit! Their products are amazing for more mature skin or for preventative measures. Plus, set’s like this have a little bit of everything to try, so you don’t have to commit to just one product, unless it’s something you know she loves! Dermalogica makes some fabulous skincare products as well, fitting for multiple skin types and age ranges. I have also been loving this serum and moisturizer from Cirem Cosmetics. The packaging, first of all, is stunning. The products in them are even more beautiful and great on so many skin types. Their Youthboosting Diamond Creme is such a beautiful product! Check out more makeup and skincare tips for mature skin here. Wine: Obviously, you knew I was going to put this on the list. My mom loves wine, and really enjoyed it when I got her this subscription to WINC last year. It is such a great gift, and it is the gift that keeps on giving! You can buy them 1 month, 2 months, a year, etc… subscription, and they will receive two bottles of wine a month. I don’t know too many moms who would be opposed to wine just showing up on their door step once a month. I know I wouldn’t! I love that there are different options for subscriptions, so that you can choose what kind of wine the receiver will get as well as how much you would like to spend on the subscription. Get $20 Off Your First Winc Membership Order. I also love Gold Medal Wine Club. This is the first wine club that I was introduced to, and I have never had a bad experience with them. 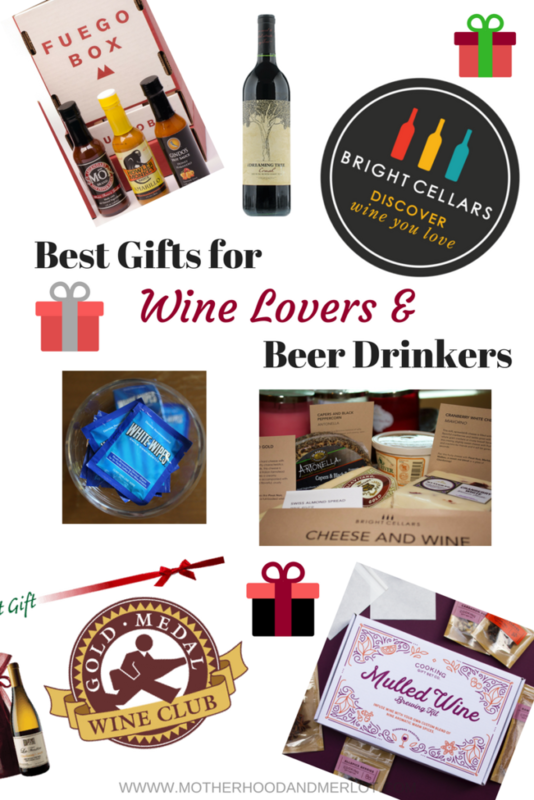 They offer some really luxury wine brands and wine subscriptions, which is great if you are trying to find the best gifts for moms who love expensive wine! The Platinum Series from GoldMedalWineClub showcases a collection of highly distinguished, ultra-premium wines from boutique California wineries. They include 90+ rated, low production, hand-selected fine wines. They are a little bit different in that Gold Medal Wine Club offers a bigger range of box-types in my opinion, but WINC offers some really wonderful gift box packages, which you can see a more in-depth review on here. What will you be getting for that special mom in your life this Mother’s Day? Do you have anything on your list of best gifts for moms, maybe something that you want for yourself? :) Leave it in the comments below (and send your significant other’s to this post as a subtle hint)! Need more ideas? Check out this themed gift guide! Love the personalized jewelries and kimonos! I really like the idea of the personalized rings! Those rings are so pretty! I would love to get one with my daughter’s name! The wine club gift!! Yes please!!!! I love all these picks but the jewelry is my fave!! I love the rings they are so gorgeous! I am such a strange bird because I am really hoping to take a hike and have a picnic this Mother’s Day! Love these! And wine and coffee! Don’t forget the wine and coffee! I love these ideas! I need to pass this post along to my husband. You can’t go wrong with jewelry, wine, or skin care! Great roundup! I’d be happy with any of them! I have a necklace with my oldest son’s same and birthdate, but I would love to get something that has all three of my kids! Good suggestion. I love the jewelry option. The rings are cool and love statement earrings. I love those big ear rings. I don’t usually wear “statement” jewelry but those look very tempting! Love those earrings! I really need all new jewelry anyway and I have no idea where to look. These are great gifts suggestions! However, as much as I am grateful for any material gift I receive for Mother’s day, what I really want is a total day of rest and relaxation. No housework, no worries, no nothing. Hey, its our day! We can do whatever we wish, right? Umm yes. I totally agree!